Jonathan at the Palouse Wargaming blog, Hunt at the Dulce et Decorum Est and Burkhard at dhcwargames each gave me a Liebster shout-out. Thanks fellows, I do appreciate it! One great thing about blogging is how much support and positive feedback you get from fellow bloggers. The best thing about the nomination is the opportunity to highlight other blogs. I'm humbled and amazed by the quantity and quality of fine work posted up every day in the blogosphere. Drum roll please...here are my nominations! A Brush With Battles: Check out his 28mm Dacian army posted up recently, a personal favorite of mine given my obsession with this niche of history. Wilderness of Mirrors: Gillies, aka the French Jester, lives up to his nickname. He's blessed with both a keen sense of humor and color too. Check out his new Biblical army and his recipe for a Turkish Bath for miniatures. Toy Soldier Studio: Phil is a 15mm DBA painting machine. Check out his long list of ancient armies painted! Better yet, dig into his archives and check out all the lovely armies themselves. Wargaming Historical-fantasy: Yori's painting isn't limited to j15mm miniatures. He's recently done some gorgeous iconography which makes me think of the Byzantine empire. To the nominees, I hate to burden you with someone else's rules so I'll instead say rules can be found here. Follow or disregarded at your pleasure! To tie up a loose end, my burned hand is much better, thanks to the medical marvel that is Silver Sulfadiazine Cream. In another week, I should have all my fingers back for typing and mowing. Here in Minnesota, it's warm, sunny and my thoughts turn to making a pitcher of margaritas. If I do that, painting will be off for the night! Well deserved recognition and glad to see the hand is mending swiftly. Yes, well deserved! Your work is always a highlight of my blog surfing :)! Congrats sir, glad the hand is mending. Thoroughly deserved Monty and I'm glad to hear your hand is healing. Very many congratulations and richly deserved. Well done, Monty. I (and I think a few others) had planned to nominate you, but thought you were already over the 200-member threashold. Glad to hear the hand is mending. Well done Monty old chap. Congrats! Congrats "Lord Monty" :o) well deserved indeed and a great guy and friend! 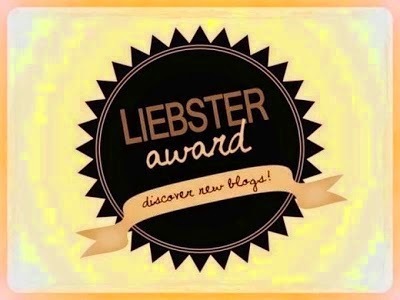 oh..um..Thank you very much for nominating me for the Liebster award! much appreciated!